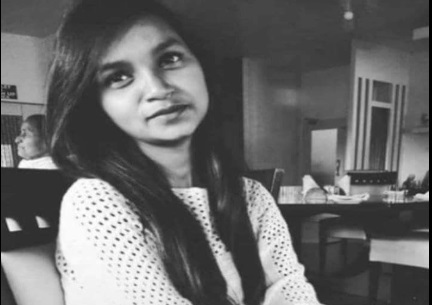 Assam police have constituted a special investigation team (SIT) headed by Sivasagar district additional SP Bolin Deuri to inquire into the sensational murder of Jorhat based Assam Agricultural University student Radha Kumari. The body of 21-year-old Radha Kumari was recovered from the toilet of the Dibrugarh-Rangia Kamkhya Express on Tuesday when the train had stopped at Simaluguri Railway Station in Upper Assam’s Sivasagar district. Assam DGP Kuladhar Saikia told reporters here on Wednesday that ADGP RP Meena has been asked to monitor the investigation. Saikia said police is also in touch with the NF Railway authorities in connection with the shocking incident. Prima facie, police suspected she was brutally murdered. Radha, who hails from Sivasagar, was a student of B.Sc fifth semester of Assam Agricultural University. Sivasagar DC Pallab Gopal Jha and SP Subodh Sonowal on Tuesday visited the residence of Radha and assured the bereaved members of her family that government would release compensation to them. The death of Radha has triggered massive online outrage with many social media users demand immediate arrest of the culprit involved in the gruesome murder.